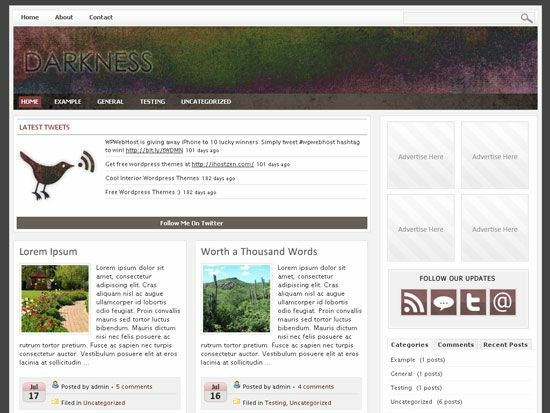 A Wordpress Theme that was inspired completely by chocolate! This lovely theme with its brown colors will bring flavor and richness to any blog. 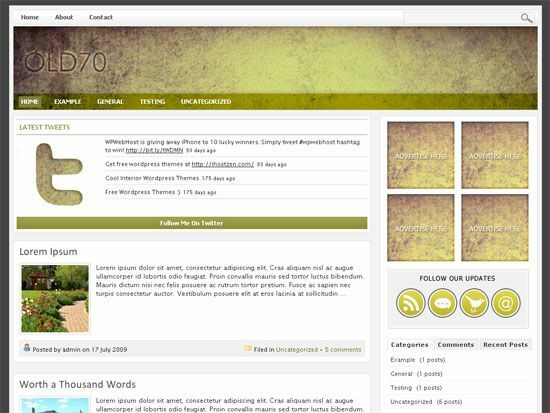 Eco Green 2.0 is a theme that is great for going green blogs and websites. This is an ecological friendly theme. It’s perfect for any Going Green Blogger! This is a Wordpress theme that was designed for Pokemon Fans and Pokemon Bloggers. It features the original three starter pokemon, and looks great! This Wordpress Theme was designed for people who love cupcakes! It fits with any blog or website that is based or centered on baking, or food in general. With its simple soft design, it can be very appealing to visitors. 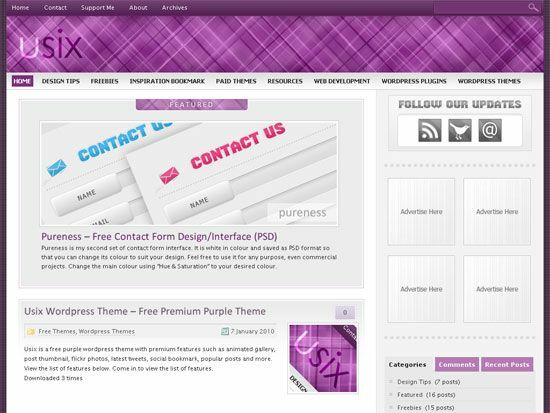 Usix is a free purple wordpress theme with premium features such as latest tweets, flickr photos, animated gallery, post thumbnail, social bookmark, popular posts and lots more. Suitable for all niche. A simple but attractive theme with a brown and blue color base. 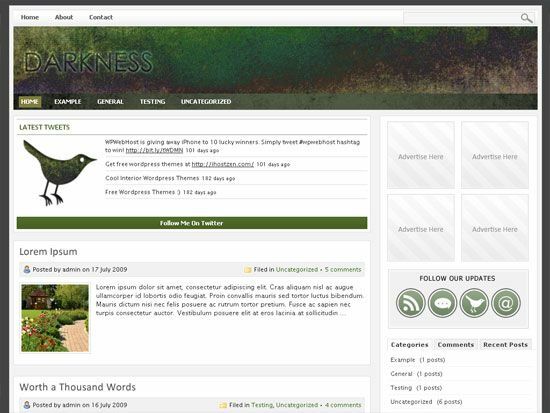 Free wordpress magazine theme with twitter integration, flickr photos, theme options page and more. Suitable for all niches. G-scale is a free greyscale wordpress theme with premium features such as latest tweets, flickr photos, animated gallery, post thumbnail, featured video, social bookmark, popular posts and lots more. Suitable for all niche. This technology wordpress theme was inspired by intel’s newest processor the i7. It fits well with any technology niche based blog; but in particular works best for computer hardware/software blogs. This wordpress theme is perfect for pet lovers, especially fans of Yorkies. With it’s nice dog focused design it will compliment any dog website. This wordpress theme was created for blogs that cater to the vast diverse niche of smart phones. It features a specific HTC phone, but it will look great on any mobile phone blog. Our iPhone Press is exactly what the name describes, a simple little wordpress theme designed for the iPhone niche websites and blogs. 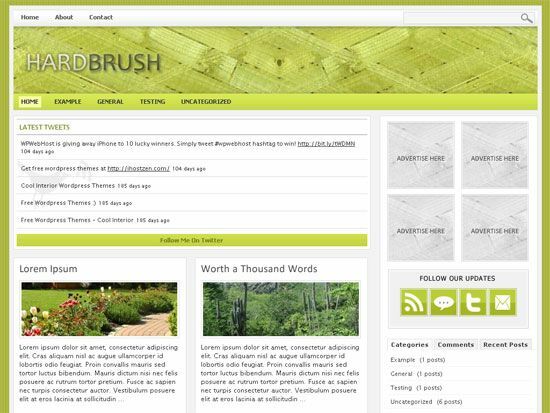 This Wordpress Theme is just as the name describes, it’s a simple little fixed width Wordpress theme that was designed for blogs that are Earth Themed, or are going green focused. Spring Time Delight is a spring inspired wordpress theme that features some lovely flowers, and gives that overall spring time season. If you’re looking for an elegant Valentine’s Day Theme, you’ve found the right one. Smoochy Love was designed to give your blog or website that lovely warm feeling that visitor will fall in love with. A simple but attractive blue colored theme. An attractive blue colored theme. An attractive brown colored theme. Forum time zone is GMT. Currently it's 12:40 AM.